With yet another 8-8 finish to the Dallas Cowboys season, the time has come to try something different. And while most fans default to the impossible (“It’s time for Jerry the owner . . .) or the ridiculous (“Let’s trade Romo and . . .), I will attempt in this blog to stay rational and look at the team in place from every phase, including my own commentary on the fixes needed. If you are a die-hard Cowboys fan, just enjoy pro football or are email friends with Mr. Jones, please forward this post along. The only way we get out of this, like many other things in life, is through education, determination and courage. 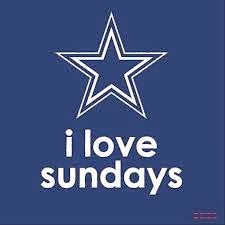 So chin up, Cowboys fan! At least you’re not the Browns. The first item this team has needed since Bill Parcells left is vision. A vision for what this team is and what Mr. Jones wants it to be. This is primarily the role of the GM, the coach and the organization as a whole. 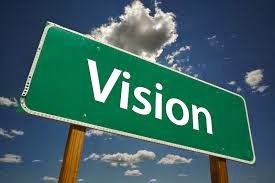 The reason the Steelers are the Steelers or the Patriots are the Patriots is vision. These two organizations know what they are and know what type of players they want. Organizations that go chasing the cyclical and fickle nature of trends for winning in the NFL are almost never successful. So pick something and stick with it! Though we all know that Jerry is a wildcatter from his past, I would encourage Mr. Jones to pick one method of drilling, for the oil is there if you do. [Commentary: My vision for the Dallas Cowboys goes back to the glory days of the early 90’s. On offense, I think a run-first scheme with a powerful offensive line and a timing based passing attack is best. Luckily, many of those pieces are in place with the exception of the tendencies of the play-calling (more on that later). On defense, the Cowboys are traditionally a 4-3 scheme built around speed. And while this year’s defensive switch was disastrous, I believe there is talent to be harnessed and I would stay with the 4-3. Everything about the 2013 Dallas Cowboys coaching staff seemed off from the very beginning. From the way it was assembled to the mismatched parts and the outdated schemes, the alarm bells were being sounded before the first popping of pads ever occurred. Let’s go through the principles on the staff and evaluate them individually. Head Coach Jason Garrett: Whenever a team remains in mediocrity, it is always easier to fire the head coach rather than fire the talent (or the talent acquirer). But I don’t think framing Garrett in that light is fair, given the structure under which he has worked. Many will claim injuries, poor drafting, lack of autonomy over the coaching hiring and more as excuses for Garrett’s very average record. But removing all the circumstances around Garrett, let’s actually look at who he is as a coach. I believe it is safe to say that Jason Garrett is a pass-first (65/35 pass/run ratio) offensive head coach who is very conservative when it comes to taking chances. There have been issues of clock management as well as lack of innovation. However, there is no doubt that he commands the locker room and that his players continue to play hard for him. He has improved in his time in that role and seems to have the right stuff to make it as a Head Coach in this league. Remember, Bill Belichick got run out of town in his first HC job as well. And the offense, when he is in control of it, has been a plus for this team. 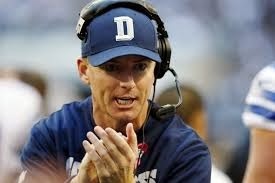 Therefore, I believe the Cowboys must find a way to succeed with Jason Garrett at the helm and I believe they can. Offensive Coordinator Bill Callahan: The fit of Callahan, a coach who came up in the West Coast system, calling plays for a Norv Turner-based attack really never had a chance. The quickness at which this team would abandon the run in the face of crisis was startling and the inability to convert 3rd downs was painfully evident at times. The Cowboys need to find a coach that is schooled in the Garrett offense, like Norv Turner himself if available or one of his protégés, to take the direct play-calling out of Garrett’s hands, though he needs to maintain a presence in that process. Defensive Coordinator Monte Kiffin: The 73 year old Kiffin was brought in to implement the Tampa-2 scheme and then transition the job to Rod Marinelli after 2 years. The issue with that is the Cowboys never really ran a Tampa-2 this year. Due to the talent base, the Cowboys were forced to play man coverage and eventually even begin blitzing in order to get pressure on the QB. And while I think the traditional Tampa-2 defense is becoming obsolete with the advent of the Chip Kelly-type read option attack, I would understand if Dallas did not wish to abandon ship just yet. The second element here is the relationships involved. Marinelli is fiercely loyal and a slighting of Monte could disrupt the line of succession here. In addition, if Lovie Smith gets another HC job this offseason, he may pluck Marinelli away. Regardless I believe Kiffin probably needs to go. Whether or not his scheme does too will be discussed later. Strength and Conditioning: I am not pinning this one on any particular coach or trainer, but the rash of preventable injuries, namely hamstrings, on this team is not good. I think a complete overhaul of the program, from offseason to pre-game stretches, needs to occur. Bring in outside consultants, experts in various fields, etc. For an owner who will spare no expense to win, this is an area where those dollars can really be used and are being under-utilized. Sabermetrics and Statistics: This is the other area on the team that seems under-funded and under-utilized. Increasingly, football is going the way of baseball and basketball with a crazy amount of statistical breakdown. 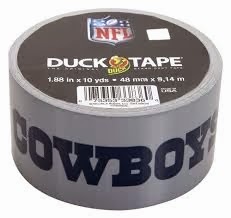 The Cowboys, I believe, are a bit behind the curve in this regard. Take a page from the other teams in town (the Mavs and Rangers) and get a team of nerds together. It never hurts to have an independent auditing team to get that smallest of edges on your opponent. Quarterback: The Romo back injury is very troubling especially given his age, the new contract and the cover-up surrounding his back injury last offseason. 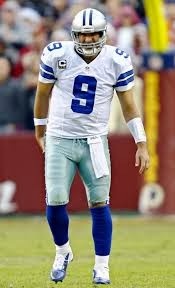 However, when healthy Romo is a plus QB and you must stick with him for as long as he’s able. 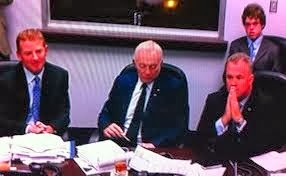 The Cowboys just hope that last the length of that contract. As far as Orton goes, the Romo injury would really tempt me to keep him one more season, even at his around $4 mil cap number. However, the Cowboys may not be able to afford it. Taking a QB in rounds 6 or 7 would be advisable. Running Back: DeMarco Murray has proven two things thus far: 1. He can be a star back in this league 2. He will always be a durability concern. However, I think with an improved offseason program (see above) and some depth, this can work. With Lance Dunbar as a change of pace back and Randle the backup, the RB position is solid going forward. Wide Receiver: The time has come for Miles Austin to go. His cap number is such that he is a luxury Dallas can no longer afford. With the emergence of Terrence Williams and Cole Beasley, the Cowboys can replace Miles with younger and cheaper options. Dwayne Harris is your #4 and you can find a guy or two for depth late in the draft or with undrafted FAs. But what about Dez? Bryant’s game needs to be pushed to the next level, eliminating the last of the limitations that allow him to be taken away by defenses. This will take 2 things: 1. A commitment by Dez to work hard on the mental side of the game, learning to read coverages, run option routes and be in sync with Romo. 2. An innovative offense that moves Dez around and finds ways to get favorable match-ups. Tight Ends: The TE position is another spot where I think the Cowboys are set. Witten, though beginning to lose a step, is a HOFer and a leader. Escobar, with a year of strength training under his belt, should step forward next year and not be a liability on the blocking side. Hanna should be flanked out more and take advantage of his pass catching ability against smaller DBs. All I might consider with this group is a true blocking TE. A glorified OT that can road grade on the edge. Offensive Line: The line really progressed as the season went along and I think only really needs a few tweaks. First, I would swap Leary and Bernadeau. I would move Leary to the right side to take advantage of his run blocking ability and slide Bernadeau to the left side, where his long arms could be an asset in pass-protection. I would keep Free at RT, though continue the competition between he and Clary as starter. Finally, I would look for more depth and a g/c combo player late in the draft to develop and eventually replace Bernadeau in the future. Defensive End: At the start of the year, the switch to the 4-3 was based on the abilities of DeMarcus Ware and Anthony Spencer to bring bookend pressure on the QB. Well, that didn’t ever happen. Spencer’s knee went wrong and Ware’s age begin to show with the rigors of facing LTs head up all year. Couple that with the Tyrone Crawford injury in the preseason and the depth at DE was nil. George Selvie was a nice find, but even if he can be retained he got a little overexposed. So going into 2014, the Cowboys will need help here. My plan would be to use Ware in a pass rushing specialist roll, try to resign Selvie and then use Tyrone Crawford the way the NY Giants use Justin Tuck (at DE on running downs, slide him to DT on passing downs). If Spencer will return on a one year “prove it” contract, even better. Adding one more player here in the draft would be excellent, using a mid round selection. Defensive Tackle: This is the position of most concern going into next season. Jason Hatcher, who played great at the 3 technique this year, is likely due a big payday and Dallas simply cannot (or maybe more appropriately should not) afford it. That leaves you with just the gaggle of guys who filled the other spot, lead by Nick Hayden. I would use 2 premium draft picks at DT in this year’s draft, likely including my first round choice. Getting a true starter and then a quality depth player, in addition to playing Hayden on run downs and Crawford on passing downs, would really improve this position and make it the “strength” it was thought to be last year. Linebacker: Once thought to be a clear asset going into 2013, the LB core got ravaged by injuries and the scheme. Sean Lee again missed significant time with injury and, having just signed a new extension, cannot continue to be used in the same way. Bruce Carter, also battling injuries, was terrible early on in the year and even got benched at one point. Durant was ok and will likely be a cap casualty this offseason. My plan for the linebackers is as follows: Move Sean Lee to the Will LB and put Bruce Carter in the Middle. This will help limit Lee’s exposure to bigger OL men and let him fly around and make plays. Meanwhile, Carter will be in a more structured environment where he can read, react and use his speed. At the Sam LB, I would continue to keep Kyle Wilbur there, but use him more like the way the Bengals use Manny Lawson. He would be a blitzing force, cover and chuck TEs and even could slide to DE in the nickel or dime package without a personnel change. As far as reserves, keeping Ernie Sims as your backup Will would be great. Holloman played well as an emergency Mike LB, though I would have him also learn the Sam position as well. Fill out the roster with some young players with promise that contribute on special teams and it’s done. Cornerback: It was not a good year for the Dallas CBs. Despite the promise of the Tamps-2, the corners were often asked to play man coverage without much assistance from the pass rush. The results speak for themselves. Learning the techniques and angles it takes to play a Tampa-2 properly usually takes years and does not fit the strengths of these players. Brandon Carr is a good #1 CB, but he is not a shutdown corner to be left on an island. Mo Claiborne is a solid #2 CB who can be left on the island, but not against #1 receivers. Orlando Scandrick really stepped forward this year and his ability to blitz out of the slot and zone awareness is a plus. 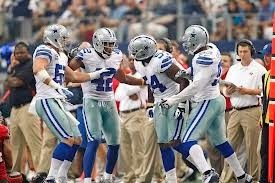 BW Webb needs time to get stronger and develop and Sterling Moore is a reliable 4/5 CB. So here is the plan: Carr and Claiborne start, Scandrick is the nickel. And here’s the innovation: Scandrick plays not only in the slot as a nickel back, but also slides back to FS at times. Thus the Cowboys defense can be versatile and adapt to the hurry-up attacks of teams like Philadelphia (see illustration below). With minimal personnel changes, this defense can be aggressive and dictate more to the offense. Safeties: The safety tandem of Church and Wilcox was a mixed bag this season, but mostly because both are ill-suited for the Tampa-2 scheme. Church was a college linebacker and is best served playing around the line of scrimmage in run support. Wilcox is still very raw but has nice athletic gifts. He seems better suited to also be a SS with the action remaining in front of him. Therefore, Dallas has 2 strong safeties and no one to play centerfield. This is an area that could be addressed in the illustration above, but also should be addressed in the draft. A true ballhawking free safety, or perhaps even just a big (6’3”+) college corner should fit the bill somewhere in the middle 3 rounds. Moving Church into a Nickel LB role also seems like a natural fit. 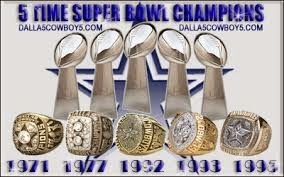 It has been quite a stroll through the desert for fans of the Dallas Cowboys these past 18 years. 18 years of the absolute definition of mediocrity. And I know no one is more pained about this than Jerry Jones himself. He wants so desperately to win and be vindicated. But as Martin Luther King Jr. once said “Man must evolve for all human conflict a method which rejects revenge, aggression and retaliation. The foundation of such a method is love.” More than anything else, Jerry Jones must find his love and compassion for this team again, for the fans again and for the reasons he bought this team in the first place: to win. Please, Mr. Jones, humble yourself to winning and bring back the glory of the Dallas Cowboys by expanding your vision and sharing your power and this team with others. We are all in this thing together and only together may we succeed! I'm Baaaack! Happy Boxing Day!